Congratulations! You made it through another winter. How do we know this? Because it’s St. Patrick’s Day weekend in Chicago, the unofficial end-of-winter celebration that spills a full season’s worth of pale faces and pent-up energy into all crevices of the city (regardless of the weather.) Will there be green beer at 9am? Yes. Will there be trolley rides and bar crawls? Yes. Will there be bad decisions? Obvi. Here’s everything you need to do in Chicago this St. Patrick’s Day weekend. See you out there. It’s hard to argue with the logic here. Choose from a ridiculous assortment of booze cruises from Yacht Party Chicago including two Friday cruises, 11 (yes, 11!) Saturday cruises, and four Sunday cruises. Hit all three days if you’ve really got issues. 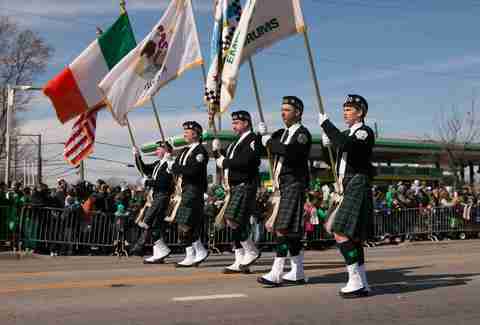 The Old Faithful of Chicago St. Patrick’s Day events is this downtown classic. Event starts at 9am with the famous Dyeing of the Chicago River, which gives you a full three hours of drinking before the parade starts at noon. After that, you’re on your own, kid. 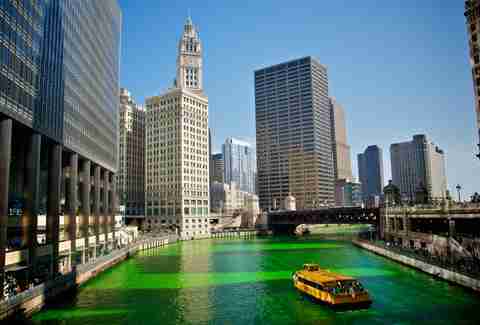 You ain’t done St. Patrick’s Day in Chicago till you’ve done St. Patrick’s Day in Chicago via trolley. Choose from four trolley lines starting at 8:30am hitting local bars like Frontier, Bottled Blonde, Gaslight, and more. 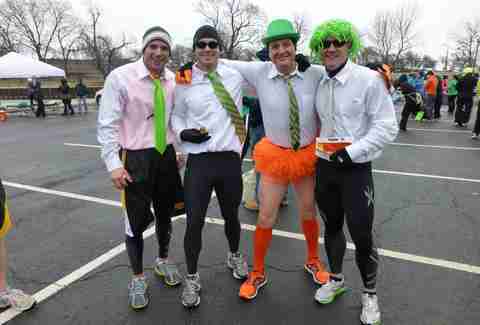 Exercise more than just your beer-drinking muscles at this 10am green-themed run around the lakefront. There will be plenty of time to work out those other muscles later. There’s no Chicago tradition like the Chicago tradition of the St. Patrick’s Day bar crawl, if you can remember it. Get into the thick of the booze-soaked action via one of five crawls across River North, Wicker Park, Logan Square, and Lincoln Park. Rowdy local six-piece Celtic punk rockers The Tossers bring their hyped-up green beer-smashing sound to Metro alongside The Avondale Ramblers and Hymen Moments for a night of serious Irish music. The swanky 26th floor of the Virgin Hotel is Ground Zero for this St. Patrick’s Day house music dance party, with rotating DJs behind the decks and booze flowing until 1am. Or long after you’ve passed out in the alley behind Kelly’s Pub. This long-running neighborhood-centric tradition is the largest community-based St. Patrick’s parade outside of Dublin offering a more chill experience than its more famous downtown compatriot, having slanted more family-friendly in recent years after being shut down in 2010 and 2011. But it’s still a helluva good time. 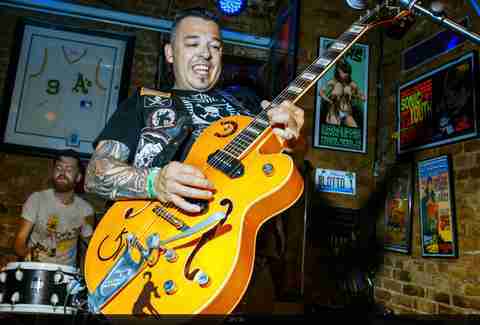 Jay Gentile is a Thrillist contributor and he’s been practicing all winter for this weekend. Follow @thejaygentile.